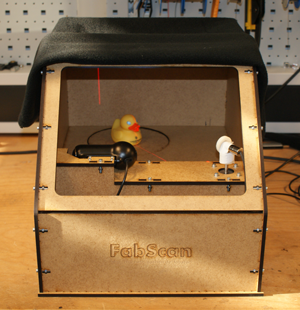 FabScan is an open-source, do-it-yourself 3D laser scanner. It started out as a Bachelor's thesis by Francis Engelmann, supervised by René Bohne. FabScan was featured on Thingiverse, it's popular on GitHub, and we have a small but steadily growing mailing list on Google Groups.